Brighton Chitana is one of the original presenters that started with the station at its birth; He joined the station when it was then moving from Radio 3 to 3FM. In 2004, he was the team of mavericks that where at the fore front when the station was rebranded to Power FM. He is an all rounder presenter, with a knack for sports. He was anchor for the epic Gospel of Sport which set the tone for radio sports programs. 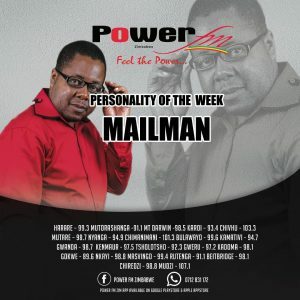 Mailman oozes radio experience and is evolving to become once of Zimbabwe’s greatest broadcasters.